Do you Want a Better looking Home? As you know cleaning your house is a time consuming task and leaves you almost no personal time to play with your kids and have some quality time for yourself. We at UCM Services Chicago have the perfect solution for your problem. Our own VIP cleaning package will help you get your house clean and fresh in a short time and at a price that is equal to the time you would have spent cleaning instead of working. Carpet Cleaning by professionals will save you a lot of time and money and make your home cleaner and more inviting for your family and friends. Can Carpet Cleaners really change your everyday life? Sure, just call us and we will reveal how. Join us in leading a change in all of our daily lives. Green Cleaning in Chicago is a must for all of our families and friends. By ordering services from UCM Services Chicago you are a part of a much greater cause that can lead us to a healthier future. Using our service will benefit your every day life. You will have a cleaner house, one you can invite your family and friends and take great pride of it. And also have a lot of spare time for your hobbies and family. 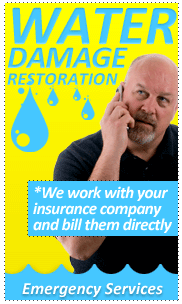 So pick up the phone and call us 773-649-9591 then schedule a complete house overhaul. I have a steam cleaning machine. Why do I need to spend the money on professional steam cleaning? What is the best method for cleaning rugs? Is there any way for me to protect my air ducts from becoming contaminated?